Search engines are the ideal way to gain traffic to the websites. 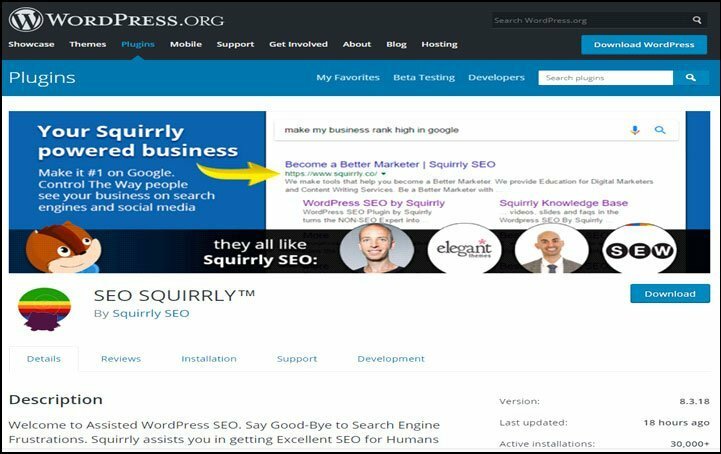 Many WordPress website owners are using SEO plugins and tips to improve the site ranking in no time. WordPress is well-known to be SEO friendly content management system. However, there is a myriad of SEO plugins from which the user has to choose the ideal one to make their website or blog to reach the next level. 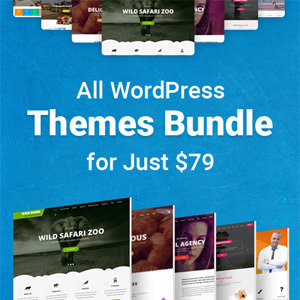 Every website owner should use the best WordPress theme along with SEO plugin to gain all the benefits offered by the plugin and rank better on search engine results page. Though there are a few plugins available for free, not all will provide the same benefit as others and will not deliver the same results as other. It is challenging for amateur WordPress users of which plugin to choose. Here are a few factors one can keep in mind to choose the best WordPress SEO plugin for their website. Power-packed with umpteen SEO features: The SEO plugin should be loaded with umpteen features that are required for the site perform better without using different plugins for each feature. However, there are a few SEO plugins which carry out only one task. However, the right plugin will have different features that make it an excellent choice to handle a wide range of tasks. It is not recommended to install umpteen plugins on the site, since this would increase the loading time of the site, thus resulting in increase of bounce rates. Crisp and clear documentation: Plugin should have clear documentation, since this is the only source available for website owners to understand about the working of each feature in the plugin. The documentation is available in articles and video format which will let you learn how to install, configure and update the plugin from time to time to retain the site’s performance. The documentation will have step by step instructions on how to configure plugins and tool tips are used in the documentation to make user clearly understand the working of plugin. Stellar customer support: An excellent SEO plugin should have quality support. However, the free SEO plugins available will offer you with free support right in the forum. Prior to buying the SEO plugin, you should make sure that there is support service provided by WordPress. You should also use plugin support forum that is available on WordPress repository to learn about the problems with the plugins and solutions that are provided. Check ratings and reviews: Prior to investing in the plugin, you need to check the ratings and reviews given by the users who are already using this plugin on their site. This is critical while adding plugin onto the site. You need to check the reviews to learn about the features of plugin and how it works and delivers results. 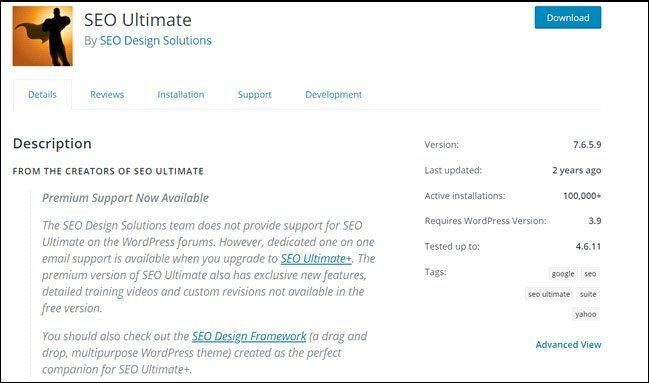 Update regularly: The SEO plugin has to be updated regularly to make sure that is it always compatible with the latest version of the WordPress you are using. The plugin that is not been updated since a long time will give a gateway for hackers to hack your website and steal the confidential data on it. When you are choosing an SEO plugin for your site, you should never compromise on the update of this plugin. The plugins that are not updated for a long time should be ignored. For this, you need to check the change logs of the plugin to learn about the frequency of the updates made to the plugin. This helps you to take an informed decision of whether or not to buy it. This log will also keep you a track of the changes made in every update. This is the popular plugin used by many webmasters to perform on-page optimization of pages on the website. This plugin also lets you set Meta description, URL, sitemap and page titles. The color indicators in the plugin will let you know whether or not the page is optimized properly. This is the comprehensive SEO plugin that is widely used to optimize individual pages and posts. This has umpteen features including creating an XML sitemap to improve site ranking on renowned search engines, support Google analytics, automatically inform Google whenever changes are made on the site, accelerate mobile pages of the site, optimize posts and page and automatically creates Meta tags. This is an open source plugin that is used to perform on-page optimization of the website and comes with a myriad of features. 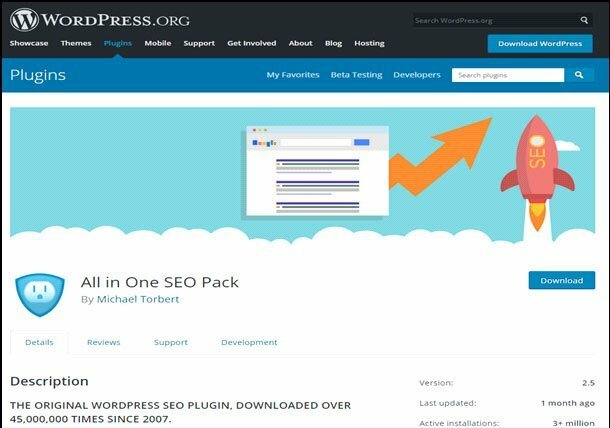 This boosts site ranking, equipped with Meta description editor, create links between different posts, let you add small pieces of code for reviews and enrich the user experience. It is one of the free WordPress SEO plugin designed for helping the people as a guide for SEO. The plugin helps in creating high-quality content that is human and SEO friendly. It helps in forming content marketing strategy and how to use the best SEO audit tools on your website. The same if used efficiently can improve your SEO statics too. Reports can be generated and sent to your SEO team for evaluation and can help you in devising an effective strategy and learning throughout the course. 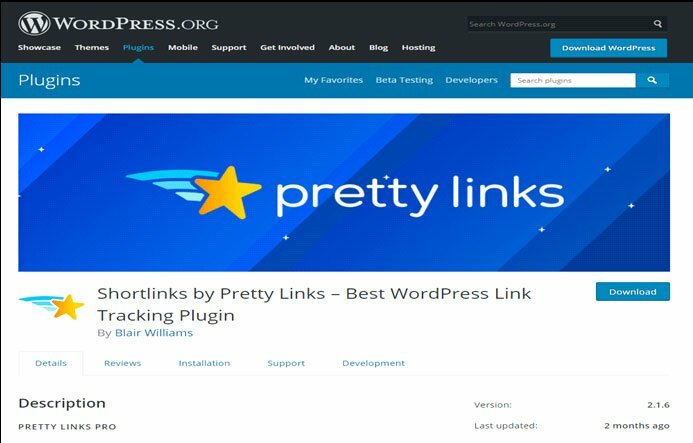 Pretty links is a kind of a free plugin used as an additional tool for redirection and make it possible for creating cloak and pretty links automatically. For improving SEO of your website, the Plugin gives you the option of replacing the keywords with the pretty links. As they are intended for helping you to use your domain name for shortening links. Pretty links help the users in not only creating links, but they can also track every other person hitting the URL with the detailed report about the geography of the user, browser and the host too. It is a free plugin and designed for you to keep things in a simple way for redirecting requests to various other pages on any other or same website. The same make sir convenient and also will help you in retaining your URL structure. 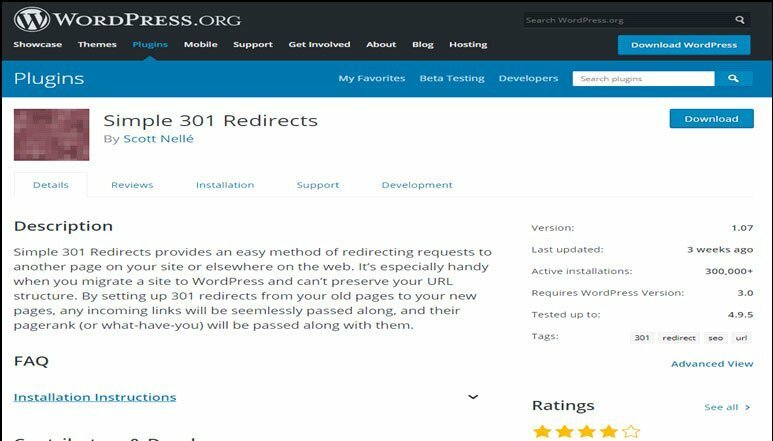 Simple 301 redirects can be set up at your old pages to migrate to new pages for ensuring that all inbound links are passed effortlessly through their page rank. 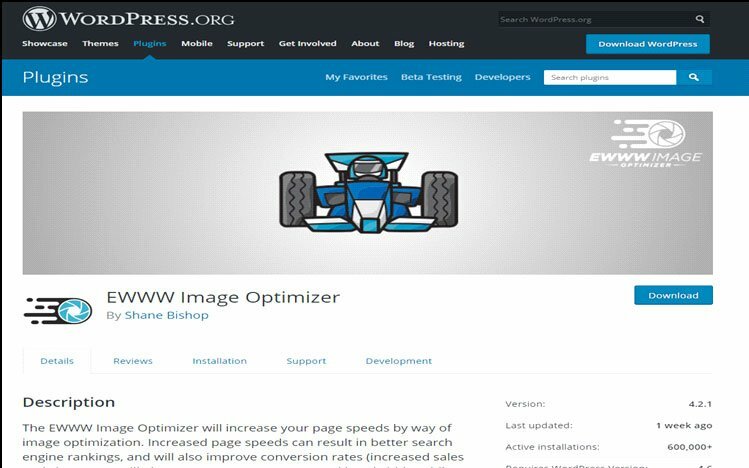 The WordPress plugin is designed for keeping a check on the speed of your pages using the image optimization. Once the speed of your page increases, the same can help you in improving the image optimization too. Installation of the plugin can assist you in getting through better conversion and therefore enhance the sales figures. The page speed can reduce the bandwidth and also space of your storage too. The plugin automatically increases the speed for the new images to be uploaded. The plugin also helps in modifying the pictures for loading images automatically, and the ideal format of files can be changed too. The same allows you for selection of quite a high compression selection that has a perfect pixel or visually lossless compression. This plugin is an ideal solution for novice and experienced webmaster that optimize the site content. This comes with umpteen features and has no ads. The plugin is great for experts and new for the people looking for a reliable solution. 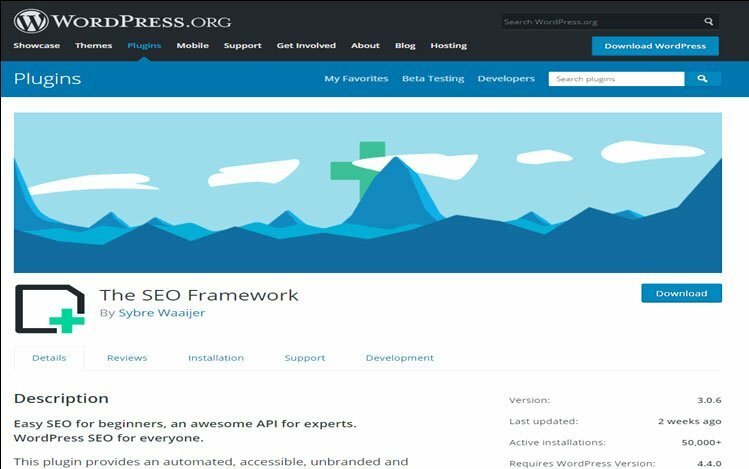 The SEO Framework can make use of the features of WordPress interface as it is a part of WordPress. The above are a few plugins that one can use to improve the site ranking, traffic while gaining huge conversations. Traffic also plays a major role in increasing you’re earning through Google AdSense or affiliate marketing. 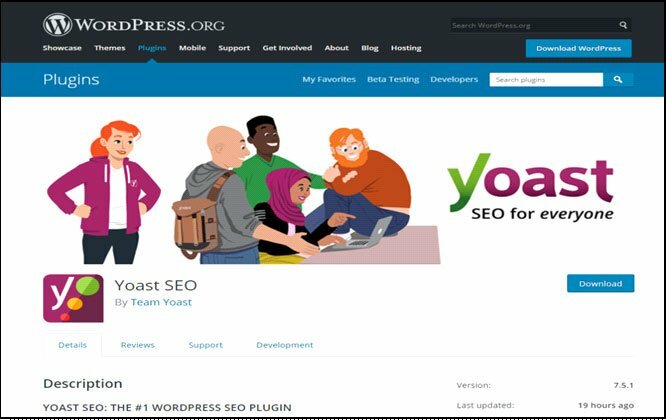 The WordPress SEO plugin is said to play an essential role in ensuring the content on the installed website is optimized as per the search engine requirements. These plugins offer a range of services and make the platform compliant with Google requirements too. So choose one of them as per your requirement.